We all know that Western society is basically ill and it’s because of the lifestyle we have been subjected to over the last 50 years. There is more junk food and processed food than ever, a sedentary existence, chronic overeating and we lack the basic nutrition that would allow our bodies to fight off disease and keep us healthy. This would be bad enough if it was only in the adult population. However, our children and adolescents are now officially members of this same club. Besides the frightening statistics that we have, I am getting call after call in my office about kids ages 10-22 who are already pre-diabetic, and have high cholesterol. I have even seen high blood pressure in teenagers. In the United States childhood obesity rates have tripled since 1980. 20% of children aged 6-19 are obese. 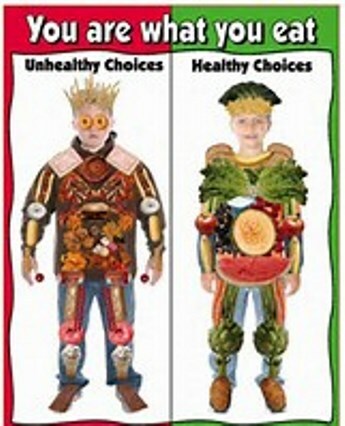 If we include the overweight children, about a third of the child and adolescent population are in danger. So, you say, “They’re just kids. When they become adults they will fix their issues.” NOT SO! Being overweight or obese early in life is a good predictor of a similar situation later in life. What is causing childhood obesity to manifest itself in ways not seen by previous generations? Although there are those who like to blame genes, what has happened over the last generation has happened too quickly to be blamed on some genetic mutation. We must look at the way we live to get the answers. How do we get to work or school? 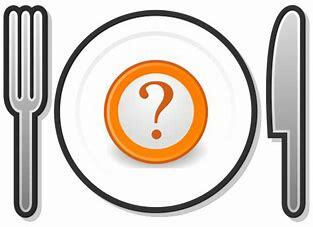 What and how much are we eating for meals and snacks? While genetic factors play a small part, the widening of our waistlines, adults and children alike, comes down to lifestyle and habits. If adults are setting proper examples of good eating and exercise habits, there is a greater chance the children will follow these same habits. 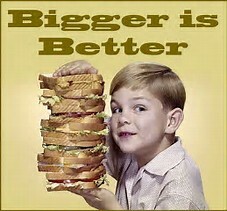 We are inundated with commercials in all media encouraging poor choices for eating. Portion sizes have basically doubled over the last 50 years. We ban advertising for tobacco products, but food has become the new cigarette—it’s killing us and it starts at a very young age. Confirming this data, the National Health and Nutrition Examination Survey showed that half of overweight teenagers and two-thirds of obese teens have a least one risk factor for cardiovascular disease. Type 2 diabetes in children has skyrocketed in the past 15 years. With the current trend, children who were born in the year 2000 have about a 35% chance of developing diabetes in their lifetime. Aside from the physical aspect of obesity, even the most resilient and motivated children suffer social consequences. Obese children are more likely to be teased, bullied and socially isolated than children of a normal weight. A review of 131 research articles evaluating the association of overweight children and mental health and wellness, found increased instances of depression, anxiety, and low self-esteem. The economic burden of childhood obesity is also pronounced. It effects the family and the economic burden of society has a whole. According the CDC in Atlanta, Georgia, for the 20 years from 1979-1999, hospital costs related to child and adolescent obesity totaled about $127 million. By 2009, that estimate was up to $14.1 billion. The bad news is obvious, but the good news is also clear. This is all reversible. It CAN be fixed, and it can be fixed without taking any medication! Yes, it means making real changes, but taking the approach of one step at a time, in a matter of weeks or months, the changes to the health of our children can be quite pronounced. When it comes to food and eating, don’t deny your child the occasional treat but rather limit them and always provide healthy alternatives. When your child gets home from school, vegetable sticks and cut up fruit should be out on the table for them. At first they may resist, but they will eventually come around and partake. Plan a treat per day and let them understand they only get one and they should enjoy it. It is a good idea for parents to sit with a dietician once or twice to fully understand what healthy eating entails to better teach their children and help them succeed. There are so many misconceptions about what proper, healthy eating is. Go to an expert and don’t do something extreme, or it will backfire. For children, it is activity which can make the biggest difference. Kids used to go out every day and play! Today computers and hand-held devices and games keep our children sitting too much for too long. Start by having your child walk or bike to and from school. Have them get on and off buses a stop or two stops from their destination. They should use stairs and not elevators. Schools must be encouraged to incorporate physical activity into the school day. It doesn’t have to be competitive sports if that is problematic. 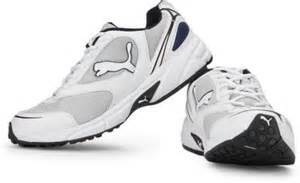 Formal, scheduled programs are needed in the schools to introduce exercise and activity into our children’s lives. In the end, when this process is complete your child will not only be healthier, he or she will be happier, function better, and have more energy. We know what hasn’t worked until now. There is no question that a fresh and newer approach is needed – and it is finally here. Remember, it all starts with basic education. Just as the odds increase greatly that an overweight or obese child will be that way in adulthood, so too the odds increase greatly that a child who is taught good health habits, will be healthier as an adult. Whether this is done as part of classroom curriculum or done by parents in the home, it will make all the difference. Two women from Chicago, Illinois, one a registered dietician and one a health-conscious graphic artist, have put together a phenomenal product to help teach our young children about good eating and activity. It is an activity book for younger, elementary school age kids. It is endorsed by prominent members of the health and nutrition community. The book includes activities, puzzles, and a guide for adults on how to use it with their children or students. The name of the workbook is Nutrition and Fitness for Kids. It is already available in the United States and will be available very soon in Israel. 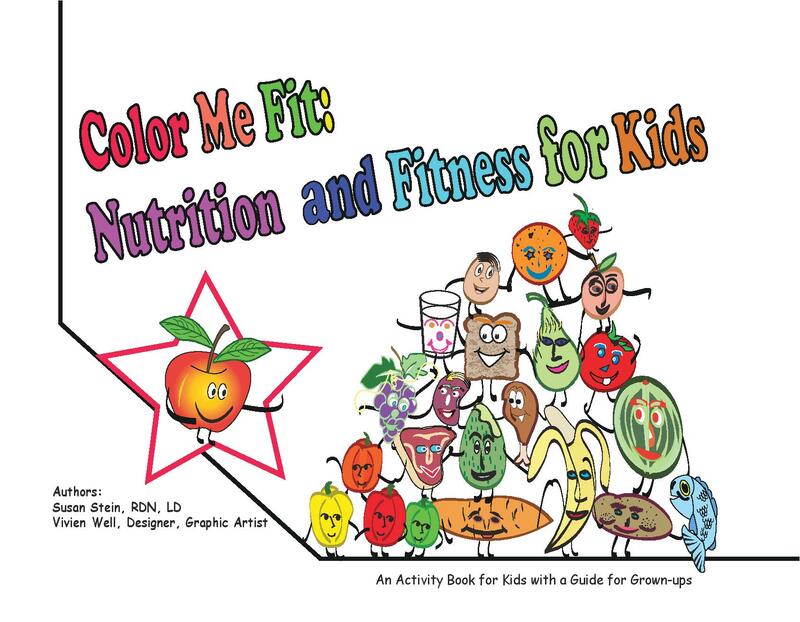 I am willing to ship the book, Nutrition and Fitness for Kids, to anywhere for the cost of the book and the shipping. I very rarely endorse any product or publication, but this is a must. Bulk orders for schools will be discounted. The authors are also hoping to translate the book into Hebrew soon. If you are interested in purchasing this item, email only to our office info@alanfitness.com. Please put the word Kids Health in the subject and your full contact information. We will contact you about the method of purchase.